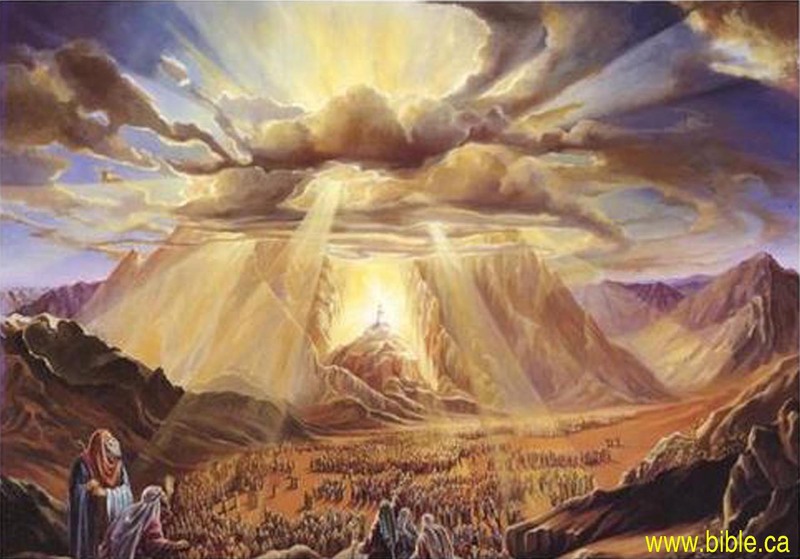 After they crossed the Red Sea Israel went three days into the wilderness away from the Red Sea to Marah. 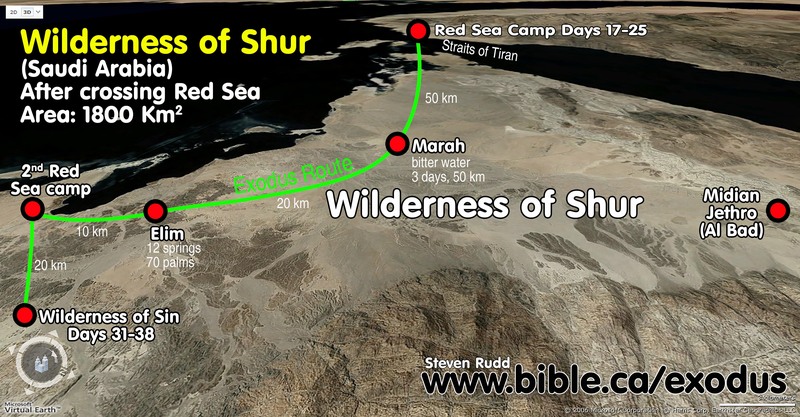 Upon reaching Marah they headed south-east, towards the Red Sea and after camping at Elim, they reached the Red Sea. We call this the second Red Sea camp, because is it the second one mentioned in scripture after the Straits of Tiran. They arrived at the Red Sea camp on Friday, day 5 from the Red Sea crossing. At this point, they have traveled a total of 100 km in 5 days, which gives us an average daily travel rate of 12 miles per day between the Red Sea crossing point and this Red Sea camp. Overview of stops and distances before reaching the Red Sea camp. Ground level from Elim looking towards the Red Sea camp. The next stop was the Wilderness of Sin where God revealed the Sabbath for the first time, and started to give them Manna. 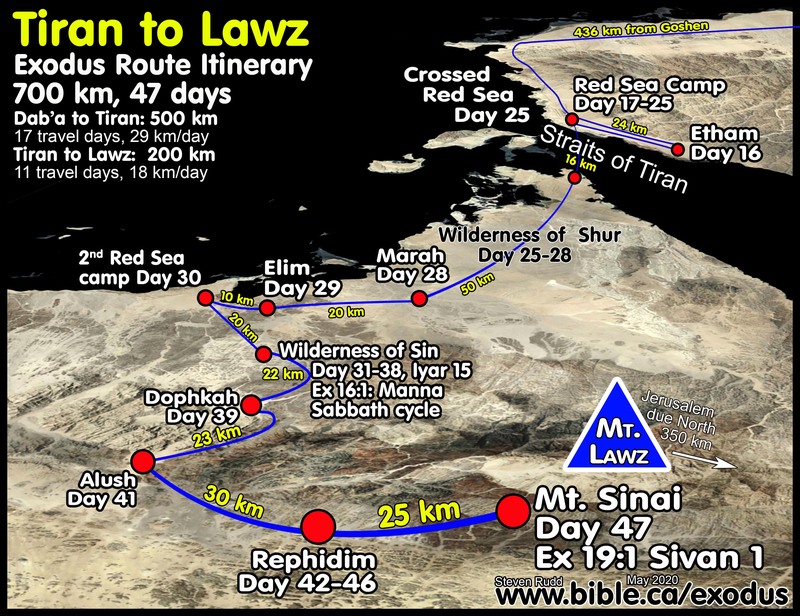 The Bible says they exited the Red Sea when to Marah and Elim, then camped beside the Red Sea again. 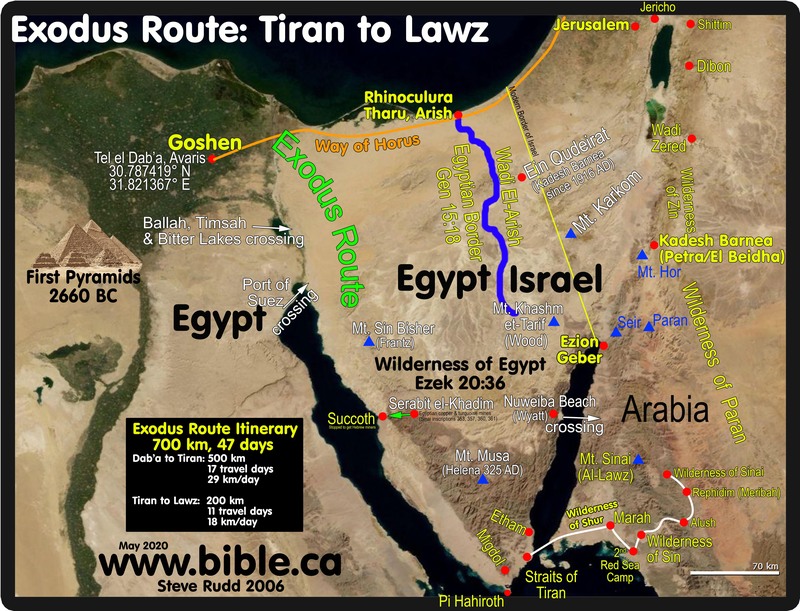 This means that Marah and Elim were not beside the Red Sea but somewhere inland. 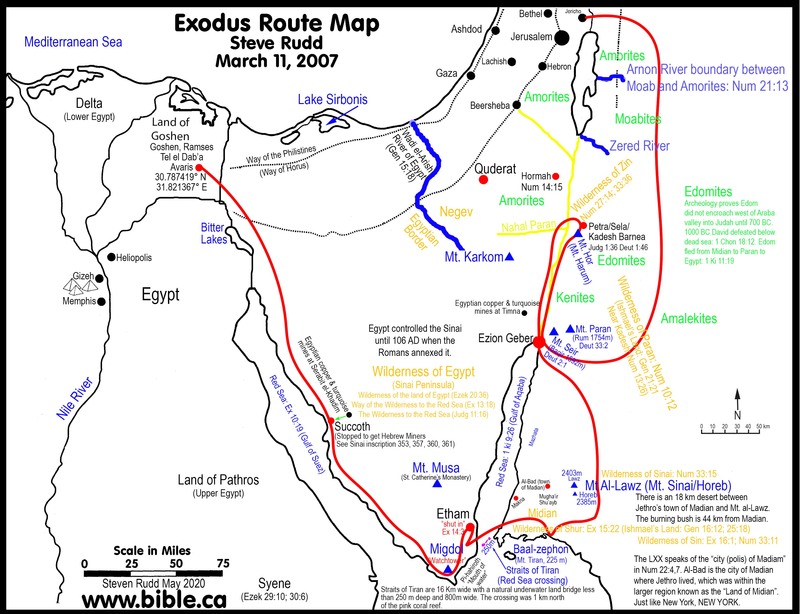 The traditional location on most Bible maps for the Marah and Elim are on the east coastal plain of the Red Sea. The coastal flat is only about 10 km wide at this point. Because traditional route has Israel traveling down the east side of the Gulf of Suez in a narrow coastal plain, all three locations (Marah, Elim, second Red sea camp) are by the Red Sea. 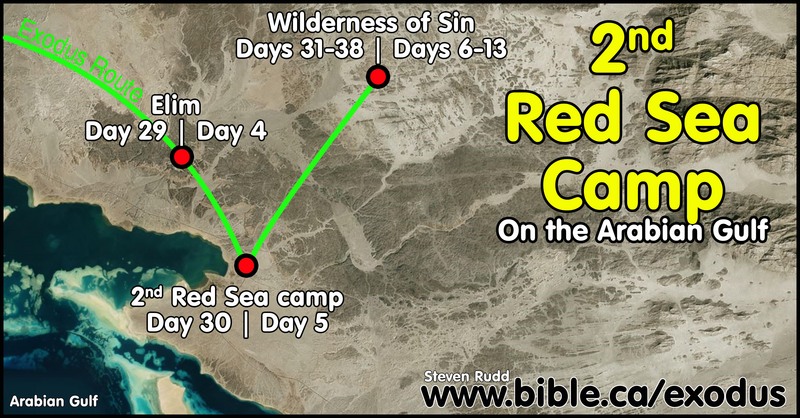 This makes no sense because Marah and Elim should not be near the Red Sea or else the narrative saying they left Elim and camped by the Red Sea is nonsense. If this was the case it would say they left the Red Sea and camped again by the Red sea at Marah, and left Marah and camped by the Red Sea again at Elim, then left Elim and camped by the Red Sea. A crossing point at the Straits of Tiran travelling 67 km straight inland, however, makes perfect sense and is logical when they change direction and stop at Elim, then head for the Red Sea and camp beside it. The traditional route doesn't work, but our route works perfect! The second Red Sea camp is a huge problem for all who propose a Red Sea crossing at Ballah, Timsah or Bitter lakes. Most of the time their maps simply ignore it altogether in ignorant bliss. Red Sea NOT Sea of Reeds. Those who say the Red Sea crossing was at the freshwater lakes of Ballah Lake, Timsah Lake or the Bitter lakes always insist that "Red Sea" = "freshwater sea of reeds". When pressed for a second Red Sea camp, they will then chose the SALTY Gulf of Suez as the second RED SEA camp. Did you catch that? After arguing vociferously that Red Sea means "sea of reeds" saying, "ITS IN THE HEBREW and must be a freshwater lake!!!" they place the second Red sea camp on the Gulf of Suez. How hopeless for truth's sake! This is the second time they camped by the Red Sea after crossing, not the third.